Are you looking for a partition in your wide area or space? One of the most functional partition and door as well nowadays is called PVC folding door also known as PVC accordion door. It is the best and wise choice for limited and wide areas. It serves not only as door, but also as partition, window cover, cabinet cover, kitchen sink cover, etc. In wide spaces, we often encounter some problems like how do we split it and turn it to a more functional area? One of the best ways to divide wide spaces is using PVC folding door because it can be custom-made depending on the width and the height of your area. It is also made in light materials and supported by rollers inserted in a track that attached on top for easy sliding. The other benefit of PVC folding door is that it has a high resistance in moist, perfect for kitchen and bathroom. PVC folding doors are more durable and affordable compared to other types of door like glass door and wood door. It also adds warmth and beauty to any kind of place. 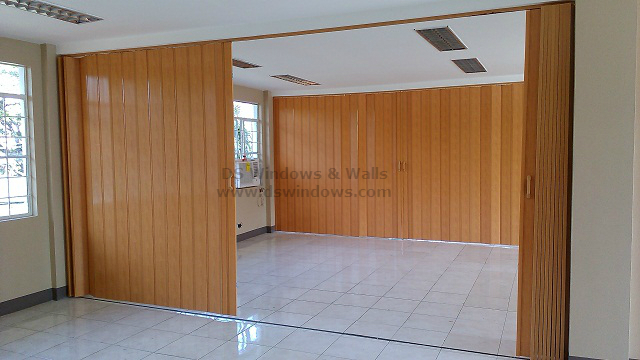 Our client from Greenhills, San Juan City, Manila, Philippines had a wide area in their office and they wanted to install partition so that both areas will be functional. They rented a unit that has wide space and they planned to have partition so that the other area will be conference and presentation room. They opted PVC folding door to separate the conference room from the other room. 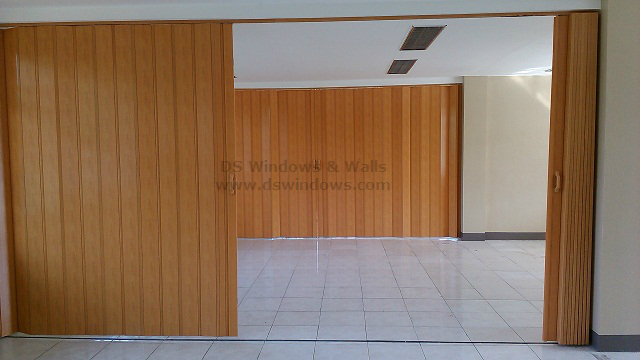 DS Windows & Walls offers regular, deluxe, special deluxe and french type of PVC folding doors. 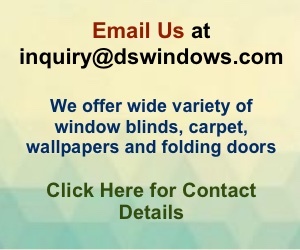 To check more about our product and samples, you can visit our shops located at 4th level Waltermart, Makati City, 3rd level Robinson Metro East, Pasig City and 2nd level Pacific Mall, Lucena City or email us your inquiries at inquiry@dswindows.com or call us at (02) 403-3262, (02) 668-9668, (02) 893-1373 and 0916-311-3909.